As the canning season begins in ernest more and more people find my blog looking for answers to canning questions and recipes. To make this easier for everyone I have created a canning and preserving index for Hippo Flamb&eacute's blog posts. 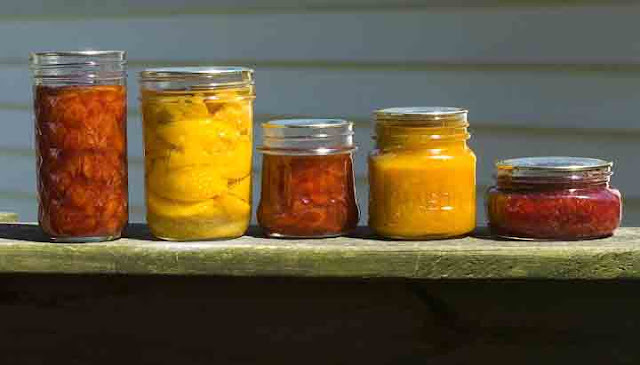 If you have any canning questions feel free to ask in a comment. please never stop posting!! i just discovered your blog and i love it! we're an aspiring zero waste family and after two years of refusing, reducing, reusing, recycling, and rotting (composting) we've gotten our urban garden up and running and are ready to embark on food preservation. our neighborhood was built pre-world war II and there is food growing everywhere - multiple apple, plum, lemon, orange varieties, chinese strawberries, blackberries, raspberries, grapes, herbs, all kinds of greens. the area is rife with edibles! thank you for all of your wonderful recipes i'm really looking forward to trying them out. thank you!